No, not even on the delicate cycle. When it comes to laundry, nothing is more convenient than throwing everything you own into the washing machine. And the list of items you never knew you could clean in the washing machine (like bathmats and baseball caps) always seems to be growing. 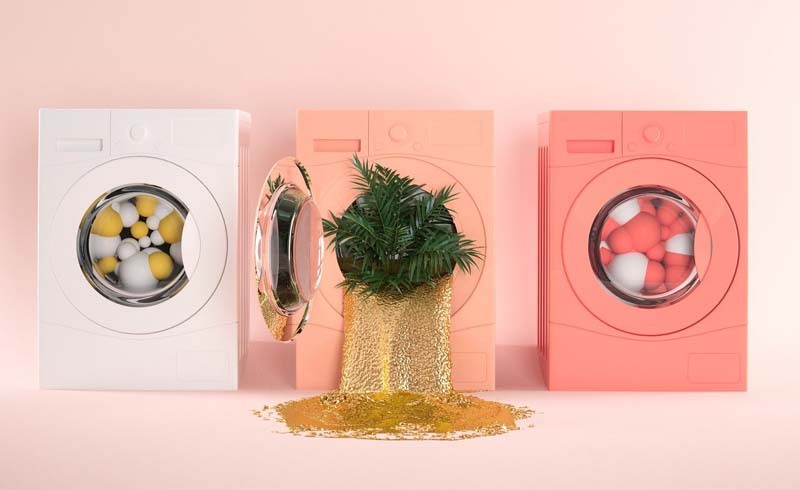 Although most items you own can be thrown into the machine without a second thought, there are several items that should never be machine washed if you want them to last. Delicate garments and fragile fabrics that could be damaged or warped in the wash should always be hand-washed or dry cleaned. The easiest way to find out if a garment is machine-safe? Check the label. If you see a laundry symbol that looks like a basin full of water with an X through it, it means the item should not be washed. For a general cheat sheet of items you should never throw in the washing machine, consult the list below. If you want your bathing suit to last all season, hand-washing it is the best and gentlest option. The washing machine can be damaging to the suit's straps and can wear down high-tech fabrics. Instead, follow these steps to hand-wash your swimsuit using cold water and mild detergent. Pro tip: wash your bathing suit after every wear to make sure salt, sweat, and sunscreen are removed from the fibers. Shirts, sweaters, and dresses with sequins or jewels are too delicate to handle a run through the washing machine. Even if placed in a mesh laundry bag, there's still a risk of the delicate embellishments getting snagged in the machine. Check the tag, but your best bet is to dry clean these fragile pieces, as even hand-washing them could result in tears or loose sequins. Even the gentle cycle on a washing machine has been known to turn a memory foam pillow into a misshapen mess. And don't even think about throwing it into the dryer, which can melt the foam material. Instead, follow the manufacturer's care instructions, or fill a bathtub or large sink with lukewarm water and mild detergent. Submerge the pillow, then gently squeeze the pillow to remove the water, without wringing. Let the pillow air-dry in a spot with good air circulation (or set up a fan) so mildew has no chance to grow. 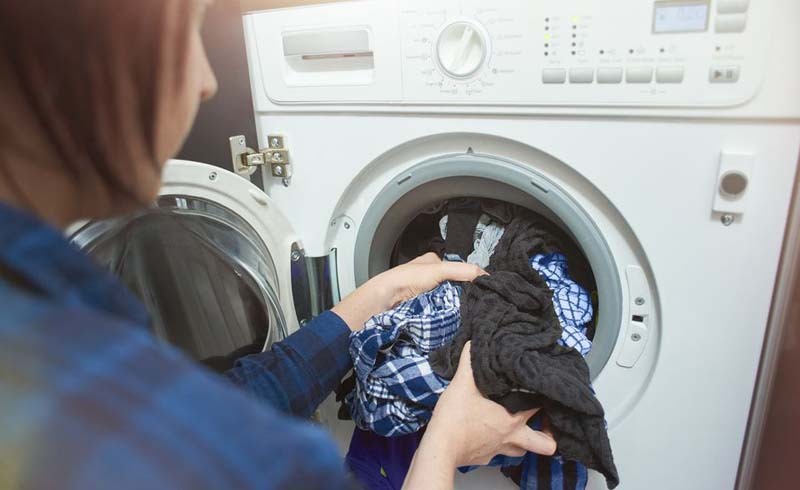 If you get a flammable substance like alcohol, lighter fluid, or gasoline on clothing or cleaning cloths, avoid tossing them directly into the washing machine, which could potentially start a fire. Instead, start by hand-washing the items using detergent and stain-removal spray. Only once the flammable substance is fully removed from the fabric should you launder it in a washing machine. Although canvas sneakers are totally fine to toss into the wash, running sneakers crafted from high-tech fibers are not. A cycle through the washing machine could make your expensive sneakers a little too snug to run in comfortably. As always, check the label, and when in doubt, opt for a hand-wash using cool water. While lacy garments and lace underwear can likely survive the washing machine if placed inside a lingerie bag and set on the delicate cycle, repeat machine-washing will cause these fragile pieces to wear faster. To keep these items looking their best, hand-wash them in cool water with a mild detergent. While many types of bathmats and small area rugs can be tossed in the washing machine, avoid machine washing those with rubber backings. A run through the washing machine can loosen the adhesive that holds the rubber to the bathmat, causing it to fall apart more quickly. The same goes for slippers with rubber soles and other similar items. Not only are ties typically made from difficult-to-wash fabrics, such as wool and silk, but throwing them in the wash can cause them to get misshapen. To keep these expensive accessories looking their best, take them to the dry cleaner.